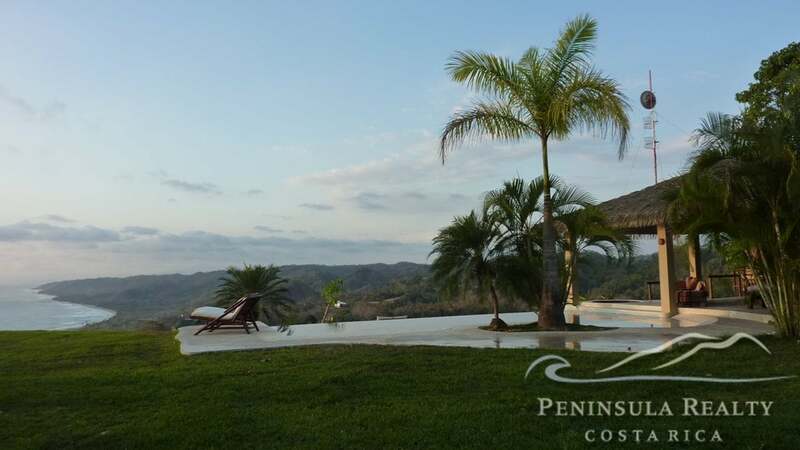 This mountain top land is the real estate with the best panoramic views of Santa Teresa and Malpais! 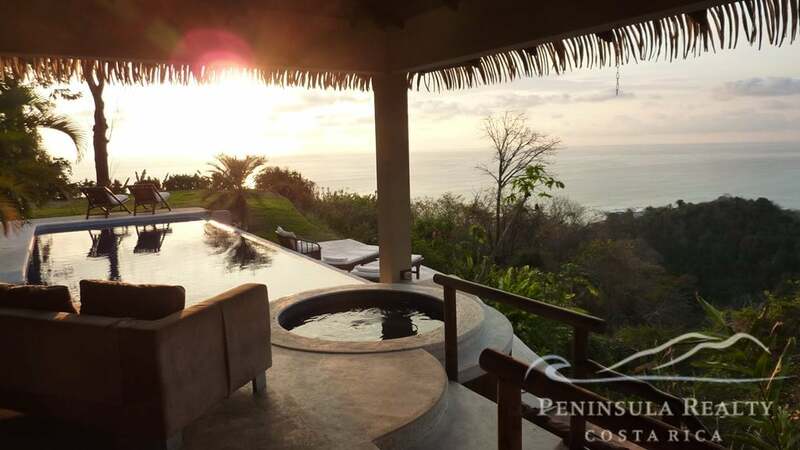 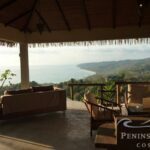 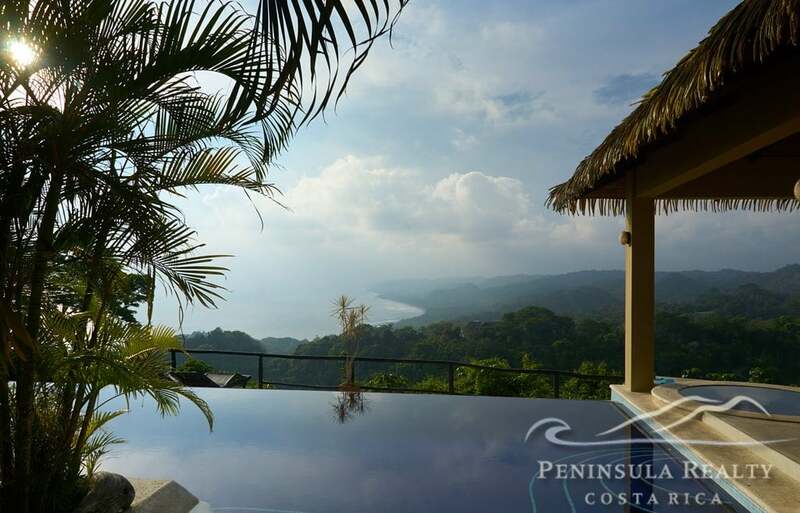 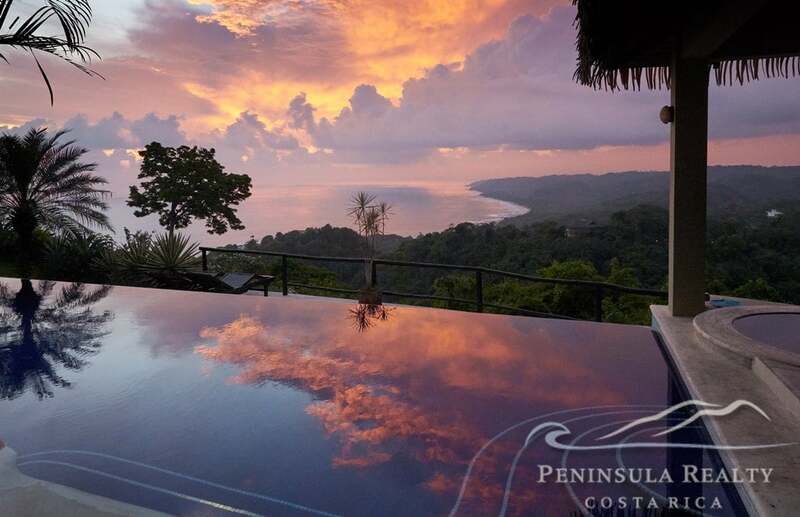 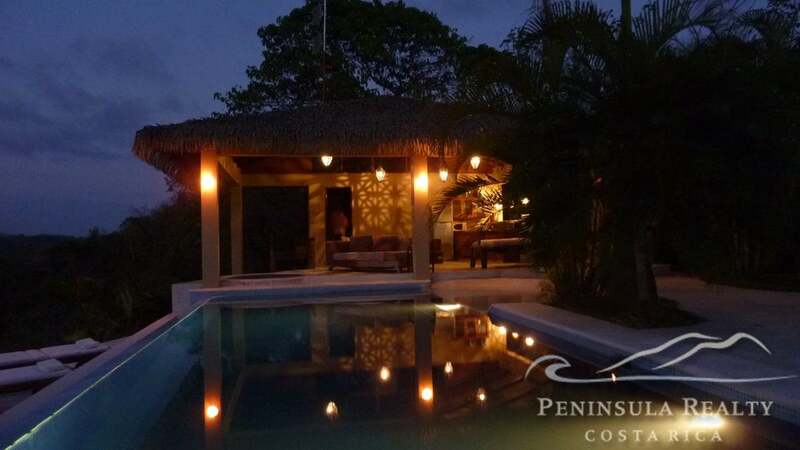 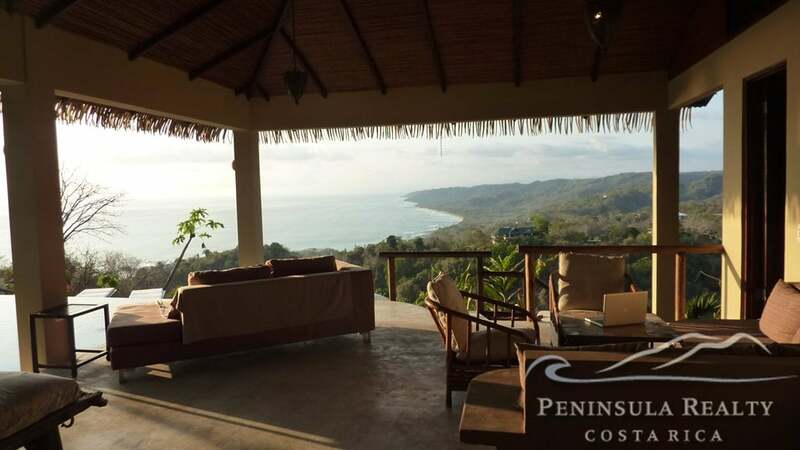 From the vantage point of Villa Vista you enjoy breathtaking views of the beaches of Santa Teresa and Mal Pais, with the most romantic sunsets. 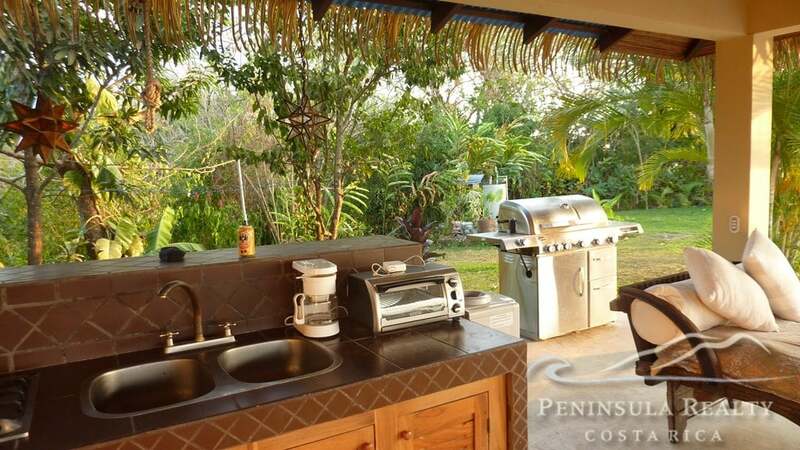 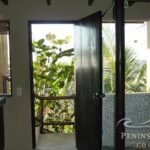 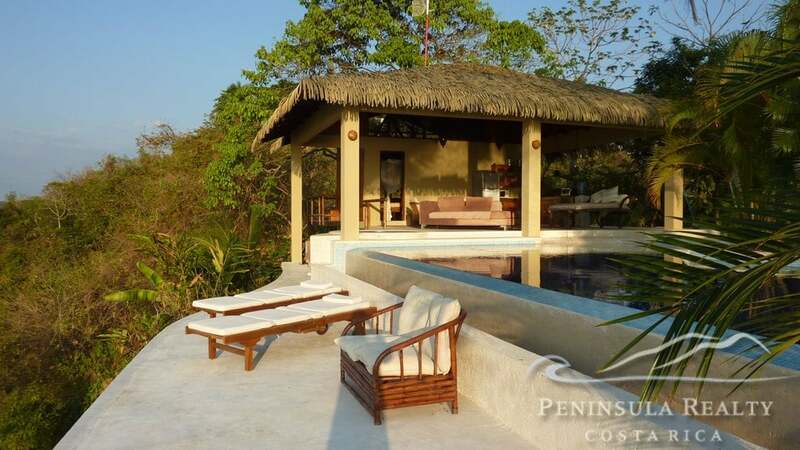 Existing buildings are a 2-Bedroom Oceanview Villa with luxurious open-air lounge and kitchen. 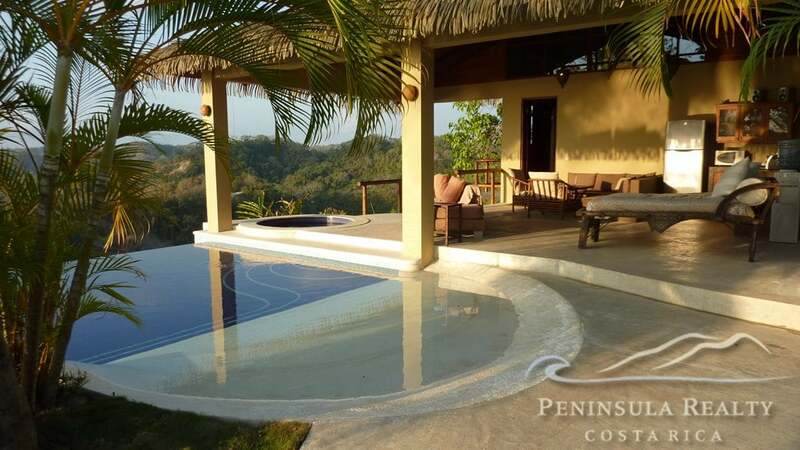 Adjacent to the house is a 11 x 4.5 meter infinity edge pool, a hot water jacuzzi and ample sun decks. 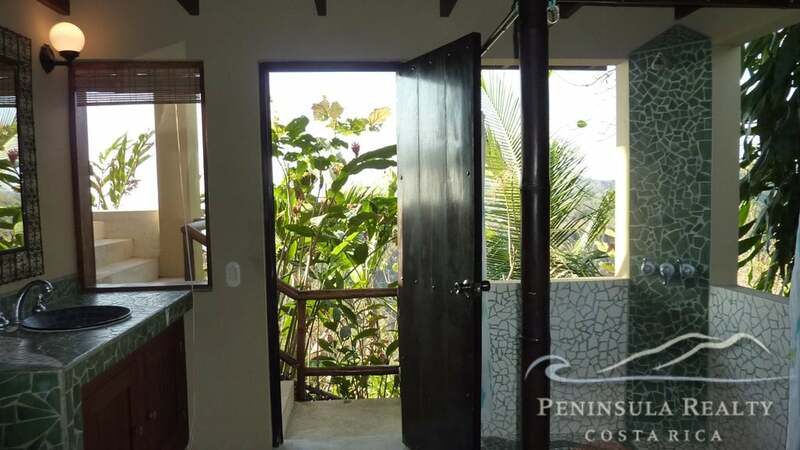 Located at the entrance of the estate is a lovely little caretaker cottage with laundry and storage room, and a roofed garage for 2 cars. 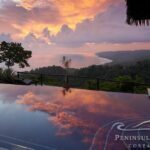 Two more spectacular ocean view building sites are available, and a third building site on the backside of the property with view into the lush jungle. 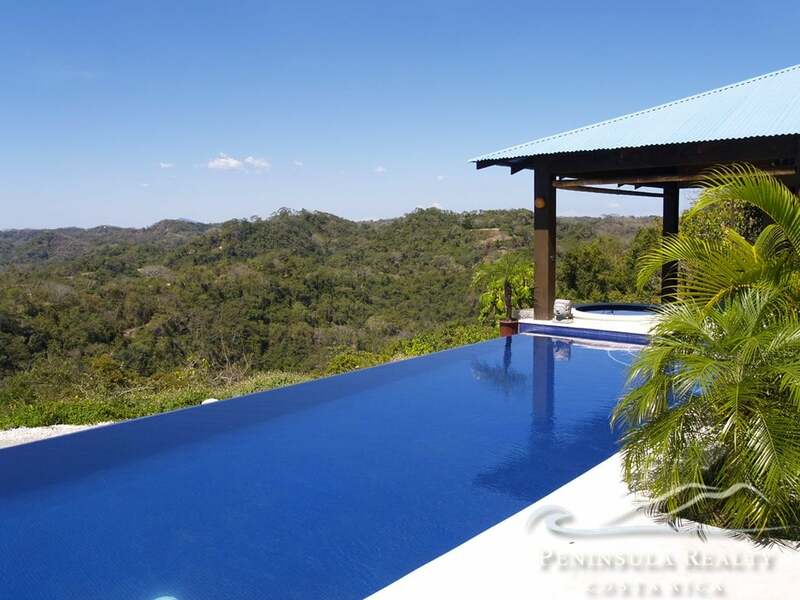 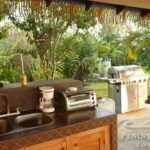 The villa provides an excellent income as a vacation rental. 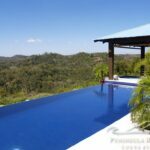 Backed by the jungle of the Cabo Blanco Nature Reserve you can see many animals and birds, like toucans, parrots, eagles, or monkeys in the trees.